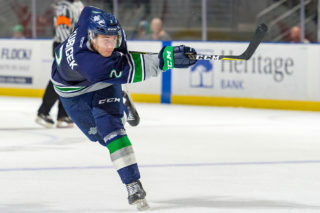 KENT, May 6, 2015 — The Western Hockey League this afternoon announced two Seattle Thunderbirds players have won WHL Awards. Defenseman Shea Theodore won the Defenseman of the Year Award and goalie Taran Kozun won the Goaltender of the Year Award. The announcements were made at the WHL Awards Luncheon at the Deerfoot Inn in Calgary this afternoon. Theodore, the WHL Western Conference nominee for the Defenseman of the Year Award, had 13 goals and 35 assists in 43 games this season. Theodore is the T-Birds all-time leader in goals scored and points for a defenseman. He has 58 goals and 154 assists for 212 points in 257 career games. Theodore is second in career assists for a defenseman, 12 assists behind Craig Channell. Theodore won a gold medal with Team Canada at the 2015 World Junior Championship in January. 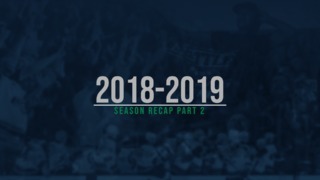 After the T-Birds season ended, Theodore joined the Norfolk Admirals, the top minor league affiliate of the Anaheim Ducks. Theodore was selected by the Ducks in the first round, 26th overall, in the 2013 NHL Draft. He signed a three year entry level contract with the Ducks on September 25, 2013. Theodore had four goals and seven assists in nine games with the Admirals. Ivan Provorov of the Brandon Wheat Kings was the Eastern Conference nominee for the Defenseman of the Year. 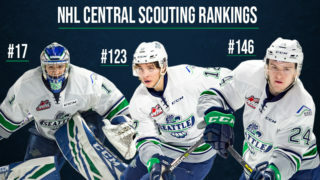 Kozun, the WHL Western Conference nominee for the Goaltender of the Year Award, played in 60 games with the T-Birds this past season and had a 33-19-5-5 record with four shutouts. He was second in the league in both save percentage and goals against average. Kozun had a .915 save percentage and 2.41 goals against average. In 84 career games with the T-Birds over two seasons Kozun had a 47-28-4-5 record with eight shutouts. Kozun was the Vaughn CHL Goaltender of the Week for the week of February 2 to February 8. He stopped 26 of 29 shots against the Portland Winterhawks in a 6-3 win on February 6 and had a 38 save shutout of the Vancouver Giants in a 3-0 win. Kozun signed an Amateur Tryout Agreement (ATO) with the Adirondack Flames of the American Hockey League after the T-Birds season. Tristan Jarry of the Edmonton Oil Kings was the Eastern Conference nominee for Goaltender of the Year. T-Birds 2015-16 season tickets are currently on sale. 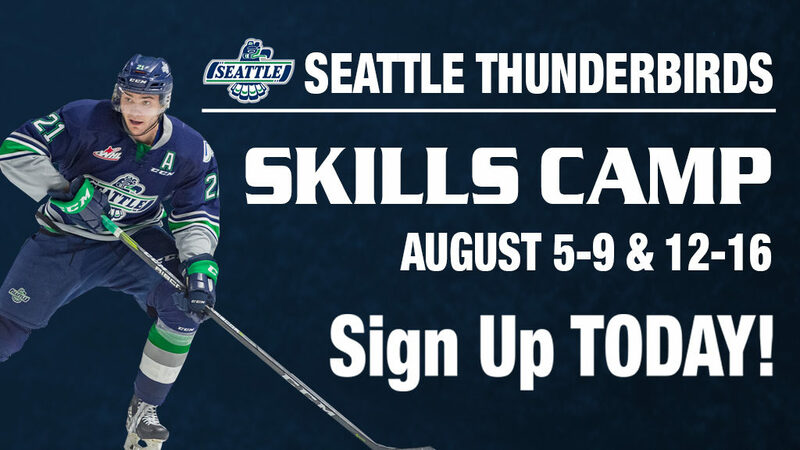 Season tickets can be purchased by calling the T-Birds office at 253-239-7825.